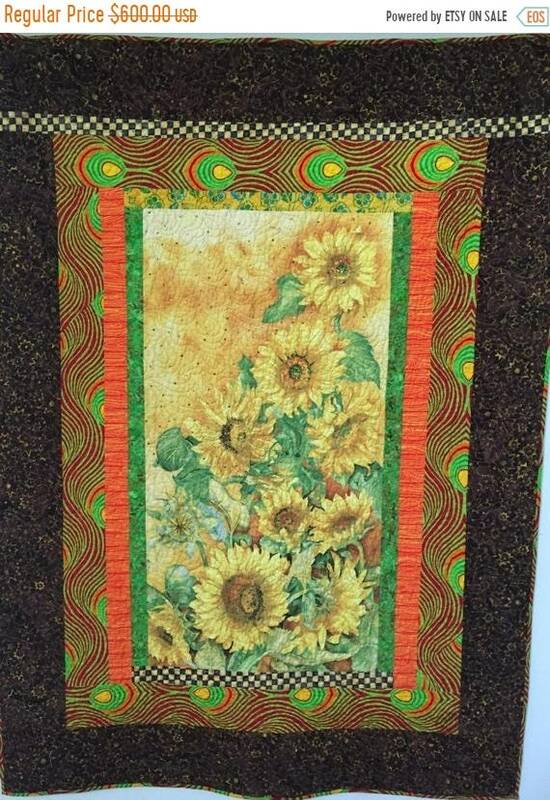 The focus of "Sun in My Heart" is a sunflower panel in greens and golds. 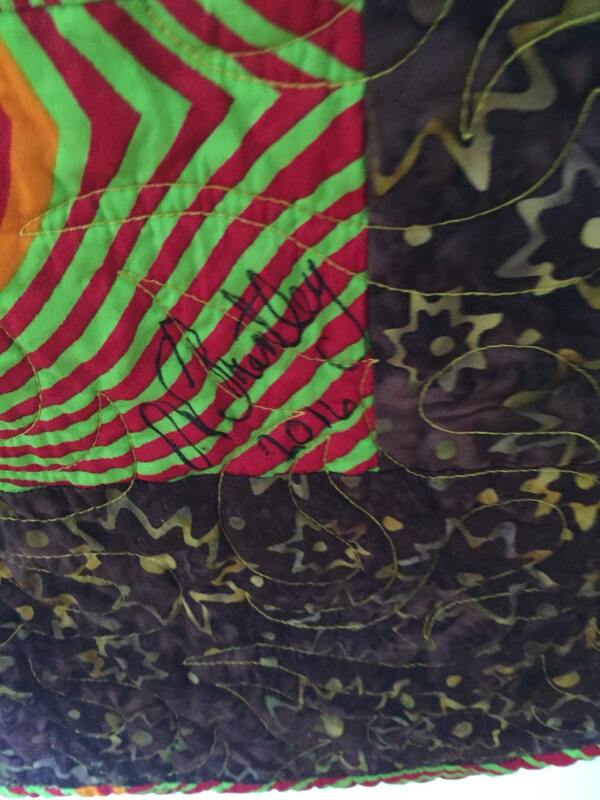 The panel is offset with an African print followed bumpy a brown batik border. 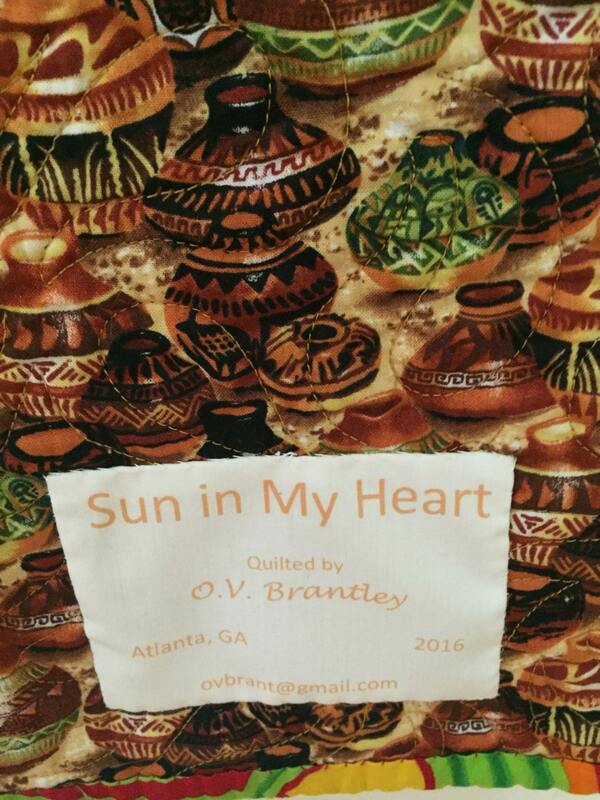 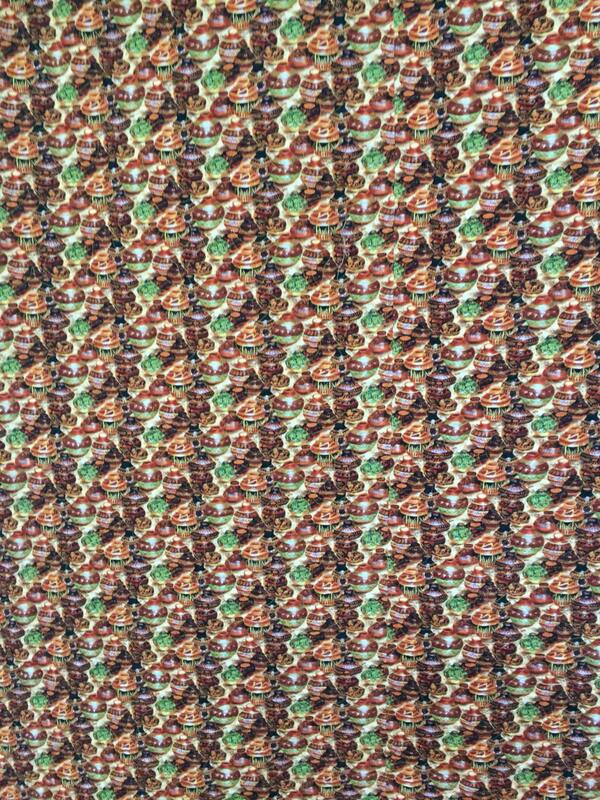 "Sun in Ny Heart" measures 46X63 inches. 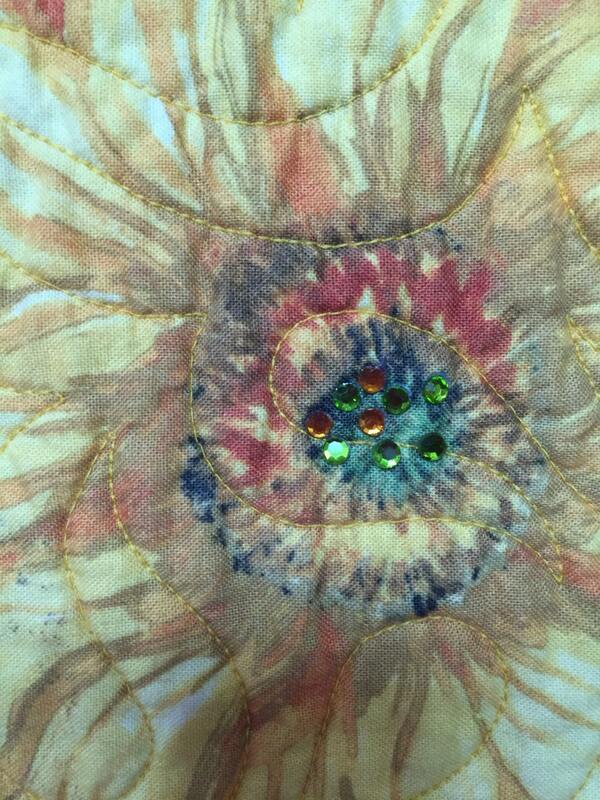 It is machine pieced and quilted and embellished with rhinestones.